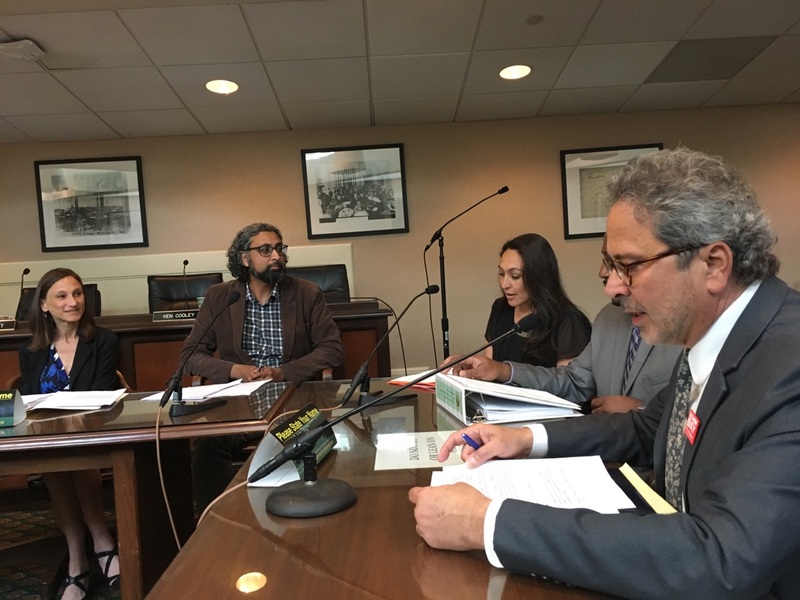 On April 25, leaders from the WWRC and Workers United-SEIU visited Sacramento to testify in support of California Assembly Bill 2853​, Transparency and Good Jobs for Local Communities. We thank Assemblymember Jose Medina for introducing the bill, which would require warehouse developments that receive subsidies to disclose information about the amount and quality of jobs that would be created, and file annual status reports to local communities. With the support of the WWRC, Workers United, the California Labor Federation, California Teamsters and many other allies, AB 2853 passed the Local Government committee 6-2 and will go to the Assembly floor Thursday, May 7. Be the first to comment on "Transparency and Good Warehouse Jobs Bill Passes Committee"